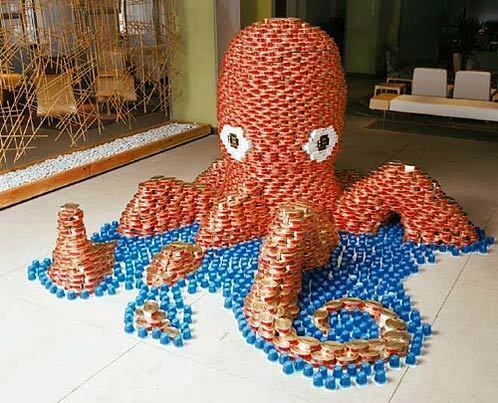 Canned nourriture Sculpture. . Wallpaper and background images in the nourriture club tagged: food canned sculpture ocotopus. Can I just say, this blog is what got me through the day today. Every time I read it, I just get more and more excited about whats next. Very refreshing blog and very refreshing ideas. I'm glad that I came across this when I did. I love what you've got to say and the way you say it.